NOVAtime Technology Inc. announces that it will be showcasing its state-of-the-art Workforce Management Solutions and giving away its Touchdown Comfort™ football blankets at Oracle OpenWorld in San Francisco this October. NOVAtime’s goal is to provide our clients with most accurate Workforce Management / Time and Attendance information. 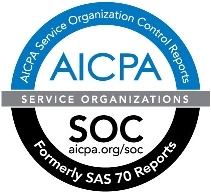 Through our partnership with Oracle, our clients have access to that information in real-time. NOVAtime Technology, Inc. (http://www.novatime.com), a leading provider of cutting-edge time and attendance / workforce management solutions, is pleased to announce that it will be featuring its Workforce Management Solutions at Oracle OpenWorld (#OOW17) in San Francisco on October 1 – 5. 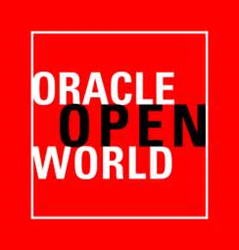 Organized by Oracle, Oracle OpenWorld is set to take place at the Moscone Center in downtown San Francisco and features over 2,500 informative sessions led by experts in business and information technology. Highlighting the conference will be Oracle CloudFest.17, featuring world famous recording artists, Usher and Ellie Goulding. In addition to promoting its Workforce Management Solutions, NOVAtime will be giving away its Touchdown Comfort™ football blankets. Designed and manufactured by NOVAtime, the Touchdown Comfort™ is slightly larger than a regulation NFL football, and is filled with a rolled-up blanket. NOVAtime will be offering these blankets to the first 100 people who stop by the booth after filling out a brief survey, which you may complete online here. With over 18,000 customers, NOVAtime is headquartered in Diamond Bar, California, and has become the leader in integrating Workforce Management solution with Human Resource and Payroll systems. Known for its scalable and leading-edge software and hardware technology, NOVAtime has been selected as the preferred Time and Attendance / Workforce Management solution provider by many of the best-managed companies in the world.